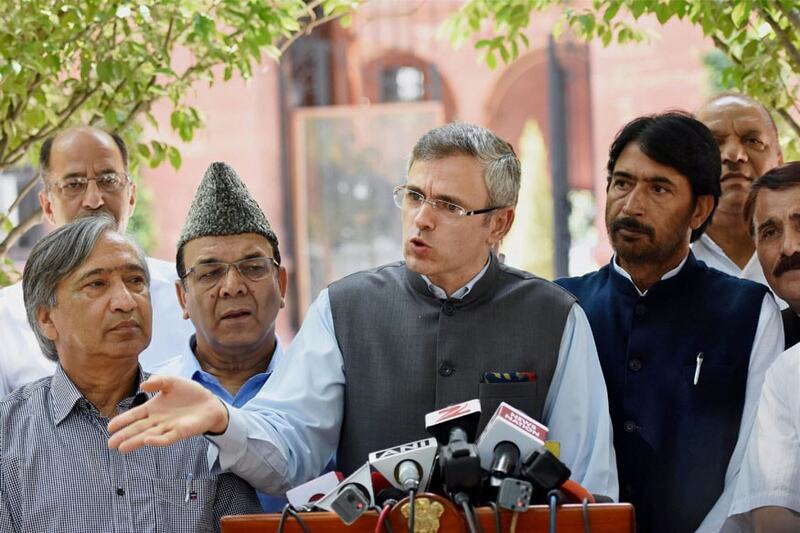 New Delhi: National Conference leader and former CM Omar Abdullah has taken exception to a recent J&K government order on copies of Ramayana and Bhagavad Gita to be made available at schools, colleges and libraries in the state. In a tweet, Abdullah accused the government of ignoring other religions. “Why just the Gita & Ramayana? If religious texts are to be placed in schools, collages & government libraries (and I’m not convinced that they need/should be) then why is it being done selectively? Why are other religions being ignored? (sic),” he tweeted. The government order states that the decision was taken during a meeting chaired by Governor Satya Pal Malik’s advisor on October 22. 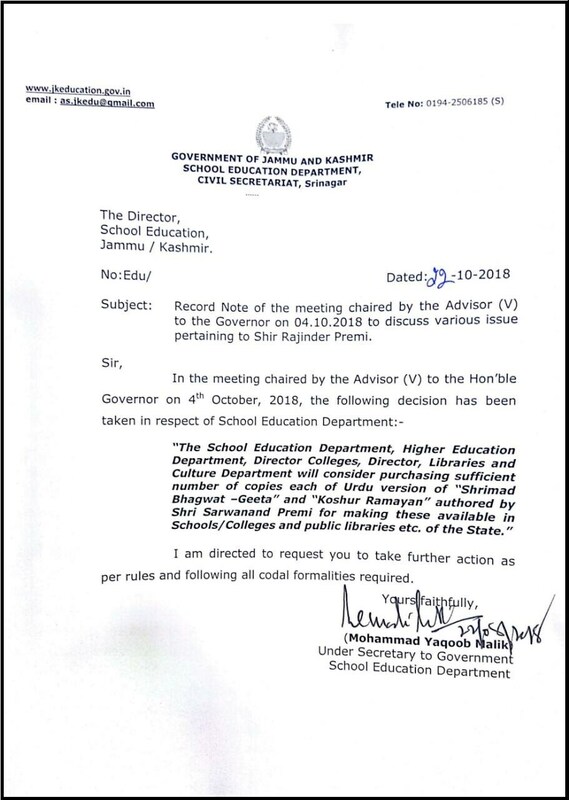 "The School Education Department, Higher Education Department, Director Colleges, Director, Libraries and Culture Department will consider purchasing sufficient number of copies each of Urdu version of "Shrimad Bhagwat-Geeta" and "Koshur Ramayana", authored by Shri Sarwanand Premi for making these available in Schools/Colleges and public libraries etc of the State," the order said.